I have given you all the tools needed: DVD Ripper software, Bittorrent software, VPN setup via BTGuard and some file sharing websites. Don't get me wrong, I do not advocate illegal activity. I just believe that not all file sharing is illegal. 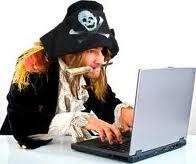 As an example there are a number of bands that upload their music onto The Pirate Bay that have made their music free. Yet the internet providers do not consider this in their regulation of the monitoring. With information and knowledge comes great responsibility. Just because you can does not mean you should. I say this because we the people have created the laws that govern the file sharing activity. We the people should learn and then pressure our elected officials to change the laws governing file sharing which would then force the Music and Movie industries to change how they distribute their media. I don't have all the answers, I don't know how this will end. All that I can give you is the knowledge of what is occuring and how it affects everyone.